Draft: 2010, St. Louis Cardinals, 21st rd. Married, wife's name is Whitney...Originally drafted by the St. Louis Cardinals in the 21st round of the 2010 First-Year Player Draft...Played college baseball at Manatee Community College (FL)...Graduated from Lakeland (FL) HS. Acquired by the Oakland Athletics from the St. Louis Cardinals in exchange for RHP Casey Meisner on 3/31... Made eight appearances for the A's, pitching to a 6.28 ERA (10 ER/14.1 IP) and 14 strikeouts... Appeared in 31 games for Triple-A Nashville, going 0-2 with a 2.56 ERA (11 ER/38.2 IP) and 32 strikeouts... Posted a 1.50 ERA (3 ER/18.0 IP) in 14 games prior to the All-Star Break for the Sounds... Went 5-for-6 in save opportunities with Nashville. Was purchased from Memphis (AAA) on 8/19 and made his Major League debut that night at PIT tossing 2.0 innings and allowing one run on four hits, including a home run ... Appeared in five games for St. Louis with three appearances of 2.0 IP ... Held right-handed batters to a .222 BA (4-18, HR) with five strikeouts ... Allowed only two hits at Busch Stadium (.133, 2-15, HR) ... Pitched in 47 games for Memphis, 2nd most on the Redbirds and T10th in the Pacific Coast League ... Led all Cardinals minor league pitchers with 17 saves and ranked among the Top 10 in appearances (47, 3rd) and strikeout/walk ratio (5.7, 5th) ... Was 8-1 with a 3.15 ERA over 60.0 innings with a 1.17 WHIP and induced six double plays ... Was 17-for-20 in save opportunities, ranking 3rd in the PCL in saves ... Stranded 14-of-16 inherited runners (12.5% IRS) ... Made 16 outings of four outs or more with 11 of 2.0 innings ... Threw a season-high 3.0 innings twice (4/6 at New Orleans & 4/18 at Colorado Springs). Top pitch count was 53 at Colorado Springs (4/18) ... Had a strong July going 3-0 with an 0.73 ERA and four saves in 10 appearances, 12.1 IP ... Recorded a win or a save in 15 of 17 appearances (no decision in other two) from July 9 through the end of the season ... Made five appearances in the PCL playoffs and was 0-0 with a 1.80 ERA and a perfect 3-for-3 in save opportunities leading all PCL postseason pitchers, including save in PCL title clincher. Matched his then career-high making 45 relief appearances while pitching for Springfield (AA) and Memphis (AAA) ... Selected to the Texas League All-Star Game North Squad. Made relief outing and struck out the only batter he faced ... Named Texas League Pitcher of the Week (7/4-10), was 2-0 with a save over 6.0 scoreless innings with four strikeouts ... Led the Texas League and ranked T2nd among Cardinals minor league pitchers with a career-high 16 saves ... Ranked 11th in the Texas League with 38 appearances and 4th with 24 games finished. Was T6th among Cardinals minor league pitchers with 45 appearances ... Coverted nine straight save opportunities from 5/15-7/4 ... Had one rough outing in Memphis allowing seven runs in 0.2 innings at Colorado Springs (6/24), but had a 1.29 ERA in his six other appearances in Triple-A ... Struck out a season-high five batters over 3.0 innings vs. Arkansas (5/1-Game 2) ... Made 19 appearances of four outs or more and 11 of 2.0 innings or more ... Was 2-2 with a 4.25 in 22 appearances before the All-Star Break and 2-0 with a 1.96 ERA after the All-Star Break in Springfield. Led FSL relief pitchers in fewest baserunners/9 IP (9.48) and ranked 3rd in lowest opponent BA (.214, 3rd) and 2nd in fewest walks/9 IP (1.61) ... Led Palm Beach and ranked T8th in the FSL in Holds (7) ... Ranked among Cardinals minor league pitchers in appearances (45, 9th), saves (9, 8th) and WHIP (0.92, 3rd) ... Went 12 straight scoreless appearances (13.0 IP) from 7/24-8/29 allowing only five hits ... Had an Inherited Runners Scored percentage of 18.5% (27 IR/5 S) ... Made 12 appearances of 2.0 innings or more ... Made one relief appearance in the Florida State League playoffs and threw a scoreless third of an inning. Was his first season as a full-time relief pitcher ... Combined to post a 3-3 record with a 1.71 ERA over 42.0 innings making 31 relief appearances ... Allowed one earned run in 19 outings for State College (A) ... Was 5-for-5 in save opportunities at State College and 2-for-4 in Peoria (A) ... Did not allow a run at State College (6/27-8/26) covering 18.2 IP. Allowed five unearned runs vs. Batavia (8/29) to break the streak. In his first season following Tommy John surgery, made five starts (6 app.) and was 0-5 with a 7.48 ERA over 27.2 innings with three different teams (GCL Cardinals-R, State College-A & Peoria-A). Missed the entire season due to Tommy John surgery. Spent the entire season in the starting rotation making eight starts at Johnson City (R) ... Led Johnson City with 11 double plays induced ... Struck out a then-career high seven batters over 6.2 innings 7/30 vs. Bristol ... Threw a career-high 7.0 innings 7/17 vs. Princeton in a no decision. Appeared in 14 games, making one start, in his first professional season served in the Gulf Coast League. 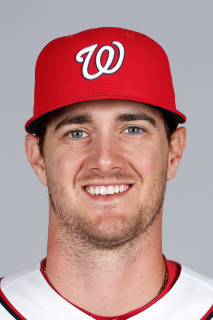 April 22, 2019 Baltimore Orioles designated RHP Josh Lucas for assignment. April 20, 2019 Baltimore Orioles optioned RHP Josh Lucas to Norfolk Tides. April 15, 2019 Josh Lucas roster status changed by Baltimore Orioles. April 11, 2019 Baltimore Orioles selected the contract of RHP Josh Lucas from Norfolk Tides. November 30, 2018 RHP Josh Lucas assigned to Norfolk Tides. November 29, 2018 Baltimore Orioles signed free agent RHP Josh Lucas to a minor league contract and invited him to spring training. November 2, 2018 RHP Josh Lucas elected free agency. September 1, 2018 Oakland Athletics sent RHP Josh Lucas outright to Nashville Sounds. July 13, 2018 Oakland Athletics optioned Josh Lucas to Nashville Sounds. June 16, 2018 Oakland Athletics recalled Josh Lucas from Nashville Sounds. June 5, 2018 Oakland Athletics optioned RHP Josh Lucas to Nashville Sounds. May 30, 2018 Oakland Athletics recalled Josh Lucas from Nashville Sounds. May 26, 2018 Oakland Athletics optioned RHP Josh Lucas to Nashville Sounds. May 18, 2018 Oakland Athletics recalled Josh Lucas from Nashville Sounds. May 1, 2018 Nashville Sounds activated RHP Josh Lucas from the 7-day disabled list. April 27, 2018 Nashville Sounds placed RHP Josh Lucas on the 7-day disabled list retroactive to April 24, 2018. April 21, 2018 Oakland Athletics optioned RHP Josh Lucas to Nashville Sounds. April 20, 2018 Oakland Athletics recalled Josh Lucas from Nashville Sounds. March 31, 2018 St. Louis Cardinals traded RHP Josh Lucas to Oakland Athletics for RHP Casey Meisner. March 31, 2018 Oakland Athletics optioned RHP Josh Lucas to Nashville Sounds. March 28, 2018 St. Louis Cardinals designated RHP Josh Lucas for assignment. March 23, 2018 St. Louis Cardinals optioned RHP Josh Lucas to Memphis Redbirds. September 20, 2017 St. Louis Cardinals recalled Josh Lucas from Memphis Redbirds. August 23, 2017 St. Louis Cardinals optioned RHP Josh Lucas to Memphis Redbirds. August 19, 2017 St. Louis Cardinals selected the contract of Josh Lucas from Memphis Redbirds. April 4, 2017 RHP Josh Lucas assigned to Memphis Redbirds. February 16, 2017 St. Louis Cardinals invited non-roster RHP Josh Lucas to spring training. September 6, 2016 RHP Josh Lucas assigned to Springfield Cardinals from Memphis Redbirds. August 29, 2016 RHP Josh Lucas assigned to Memphis Redbirds from Springfield Cardinals. July 27, 2016 RHP Josh Lucas assigned to Springfield Cardinals from Memphis Redbirds. July 20, 2016 RHP Josh Lucas assigned to Memphis Redbirds from Springfield Cardinals. June 25, 2016 RHP Josh Lucas assigned to Springfield Cardinals from Memphis Redbirds. April 6, 2016 RHP Josh Lucas assigned to Springfield Cardinals from Palm Beach Cardinals. March 6, 2016 RHP Josh Lucas assigned to St. Louis Cardinals. July 21, 2015 RHP Josh Lucas assigned to Palm Beach Cardinals from Springfield Cardinals. July 11, 2015 RHP Josh Lucas assigned to Springfield Cardinals from Palm Beach Cardinals. April 9, 2015 RHP Josh Lucas assigned to Palm Beach Cardinals from State College Spikes. August 4, 2014 RHP Josh Lucas assigned to State College Spikes from Peoria Chiefs. July 9, 2014 RHP Josh Lucas assigned to Peoria Chiefs from State College Spikes. June 2, 2014 RHP Josh Lucas assigned to State College Spikes from Palm Beach Cardinals. May 17, 2014 RHP Josh Lucas assigned to Palm Beach Cardinals from State College Spikes. September 13, 2013 State College Spikes activated RHP Josh Lucas from the 7-day disabled list. July 3, 2013 State College Spikes placed RHP Josh Lucas on the 7-day disabled list. June 26, 2013 State College Spikes activated RHP Josh Lucas from the 7-day disabled list. June 24, 2013 State College Spikes sent RHP Josh Lucas on a rehab assignment to GCL Cardinals. April 29, 2013 Josh Lucas assigned to Peoria Chiefs. June 17, 2011 RHP Josh Lucas assigned to Johnson City Cardinals from GCL Cardinals. June 21, 2010 Josh Lucas assigned to GCL Cardinals from St. Louis Cardinals. June 15, 2010 St. Louis Cardinals signed RHP Josh Lucas.